Shopping online is a great way to find deals right from the comfort of home. But, without taking proper precautions, your online shopping spree could put you at risk of becoming a victim of identity theft. Here are some common online shopping mistakes to avoid. 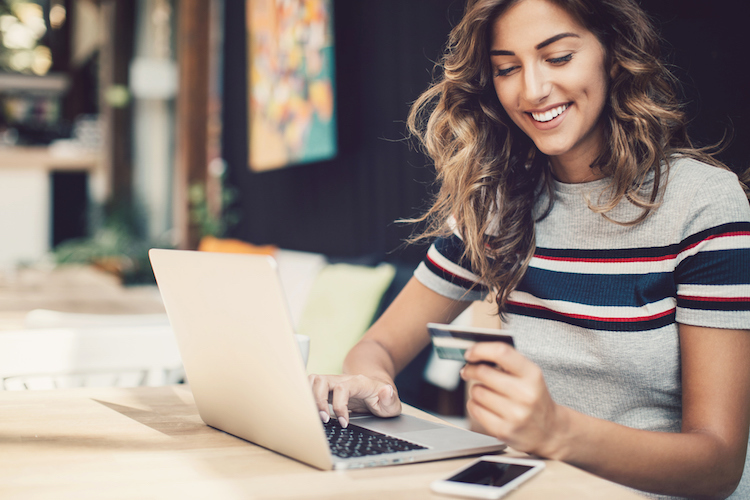 Before inputting payment information, verify the site uses a secure connection. Most reputable merchants will send you to a secure or encrypted page when you checkout. Check for a URL starting with “https://” instead of “http://” to ensure the site is using a secure connection. Also, be wary of inputting any personal information over public wifi hotspots as these networks are not secure. Only make online purchases from reputable sellers. Look through sales ratings to see if previous buyers have had good experiences with the merchant. If they do not have any ratings or seem to be too good to be true, trust your instincts and don’t make the purchase. Debit cards and checks link directly to your bank account. So, if a thief steals that information, your money is at greater risk. Instead, use a credit card or payments service such as Paypal. These are more secure payment methods for online purchases and offer greater protection if funds are stolen. Many ID thieves will make small charges at first, hoping to go unnoticed. If successful, they go after bigger scores. If you see something fishy on your credit card statement, even if it’s only a small charge, call your credit card company immediately. They can cancel that card and send you a new one to avoid further fraudulent charges. It may be convenient to store your credit card information for future purchases, rather than typing out the number every time, but this makes you more vulnerable to ID thieves. Never save your credit card or login information and always make sure to log out completely of any banking or shopping site. No deal is worth the cost of having your identity stolen. Contact Crime Prevention Security Systems today to sign up for identity theft monitoring, protection counseling and restoration from IDShield. How Common is Identity Theft in Orlando?